SOME OF OUR SCHOOLS REQUIRE YOU TO BOOK A PLACE AT AN OPEN DAY. PLEASE CHECK SCHOOL WEBSITES FOR DETAILS. Sydenham High’s GCSE results hit new heights this Summer with an increase in top grades for the second year running. An excellent performance in Biology, Chemistry and Physics has contributed to over 34.9 per cent of all grades being A* and 61 per cent being A* or A. In total 94.7 per cent of grades were A*-C. Over 80 per cent of all three science results were A* or A with a record 96 per cent in Biology, 95 per cent in Physics and 82 per cent in Chemistry. Ten students opened their envelopes to find they had scored a full house of A*s and As across all subjects, meanwhile a further six students achieved 10 or more A*s.
Dozens of sixth formers are also celebrating their A Level results and a raft of university places including Edinburgh, York, Manchester, King’s College and Queen Mary’s London for courses from Mechanical Engineering and Biochemistry to English Literature and Classics. More than half of all grades (57.4 per cent) were A*-B and 25% were A*/A. Again the best performing subjects included all three sciences, and a record number of six students secure coveted places on Art Foundation courses. 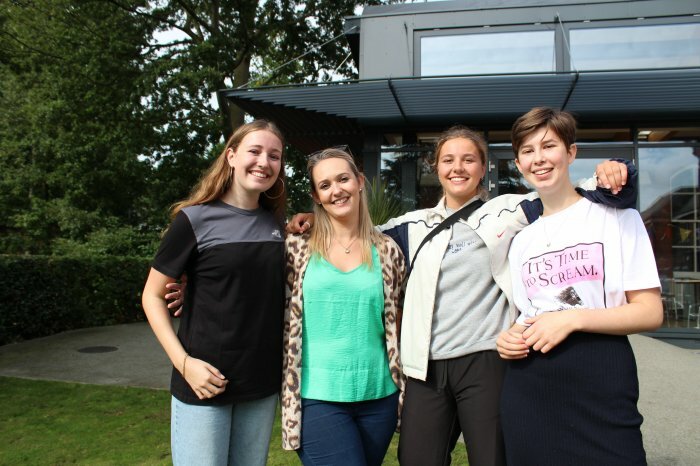 Celebrating the most, however, was sixth former Ella Howard who thought she might never be able to take her A Levels as she suffers from a rare congenital bone condition. Ella successfully gained two A Levels and a university place. Sydenham High’s GCSE results have hit new heights with an increase in top grades for the second year running. An excellent performance in Biology, Chemistry and Physics at Sydenham High has contributed to over 34.9 per cent of all grades being A* and 61 per cent being A* or A. In total 94.7 per cent of grades were A*-C.
Over 80 per cent of all three science results were A* or A with a record 96 percent in Biology, 95 per cent in Physics and 82 percent in Chemistry. Ten students opened their envelopes to find they had scored a full house of A*s and As across all their subjects, meanwhile a further seven students achieved 10 or more A*s.
Today (Wednesday 28 September) students at Sydenham High were able to travel millions of miles in minutes to see Mars, the Moon and more earthly wonders such as Machu Picchu – all without leaving the school. This was no elaborate Britain’s Got Talent magic trick; Sydenham High’s students were in fact amongst the first in the country to try out Google’s latest innovation: the Google Expeditions Pioneer Programme. 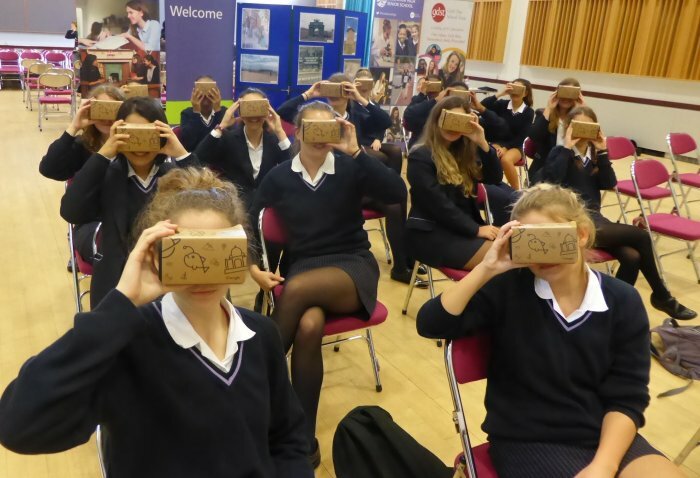 As well as exploring space, students from Year 7 to Year 13 used the virtual reality programme to tour the Palace of Versailles, visit the Galapagos Islands, go inside a volcano and take an anatomy class. Google Expeditions allows teachers to take their classes on virtual field trips, immersing them in experiences that bring abstract concepts to life and giving them a deeper understanding of the world beyond the classroom. The Google Expeditions pack includes everything needed to travel: a tablet for the teacher plus a phone with a unique viewer for every student. The teacher selects the destination and the entire classroom jumps there automatically. Each trip is a collection of virtual reality panoramas – 360 degrees photo spheres, 3D images and video with ambient sound – annotated with details, points of interest and questions so that they can be easily and quickly integrated into the curriculum. Year 11 students going to Moscow in VR! The expedition viewer is a breakthrough in itself; literally made from cardboard, it allows anyone with a modern smartphone to experience virtual reality. The programmes have been created in collaboration with a number of organisations including the Wildlife Conservation Society, the Planetary Society and the American Museum of Natural History. Mrs Katharine Woodcock has been appointed as the Head of Sydenham High School, part of the Girls’ Day School Trust, with effect from April 2017. She replaces Mrs Kathryn Pullen who will retire in December after 26 years at the top South London school, 14 of them as Headteacher. Mr Karl Guest, Deputy Head (Staff and Student Development), will be acting Head for the Spring Term. Mrs Woodcock is currently the Senior Deputy Head of Queen’s College, an all-girls school based in central London. Like Sydenham High, Queen’s College is an all-through school, educating girls between the ages of 4-18. As Deputy Head at Queen’s College, Mrs Woodcock is responsible for the day-to-day management of the whole school. She joined Queen’s College as Head of Sixth Form in 2005, having previously taught at Oakham School in Rutland, where she was also a Housemistress. A graduate of Bristol University, Mrs Woodcock studied French and Russian. She then completed her PGCE at St Mary’s College in Twickenham. During her career she has taught both French and Russian, and has extensive academic and pastoral experience. Mrs Woodcock is married with two children and lives in London. Making the appointment announcement, GDST Chief Executive Helen Fraser said that Mrs Woodcock is firmly committed to the ethos of both the GDST and Sydenham High, and is very much looking forward to being part of its network. She said that Mrs Woodcock’s colleagues describe her as having a natural affinity with her students and speak about her warmth, energy, intelligence, about her forward-thinking approach to her work and her genuine passion for doing the best for the girls. Mrs Woodcock will be visiting Sydenham High during the Autumn and Spring terms, including being part of the school’s Saturday Open Days for prospective parents in September. 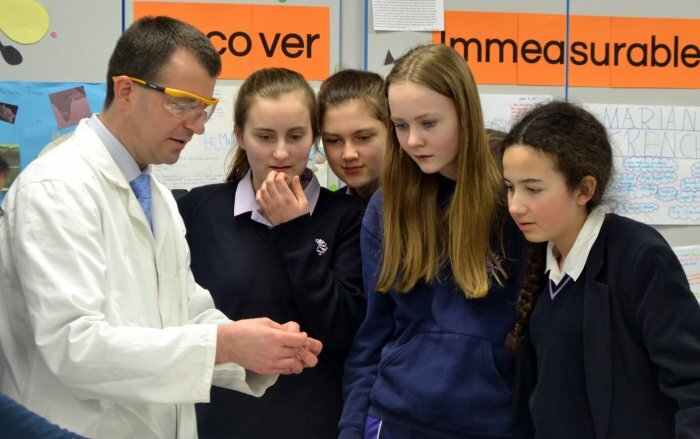 Sustainability is a buzz word across every aspect of our lives these days but it is being given particular importance in encouraging the next generation of female engineers, as girls at Sydenham High School GDST have been finding out. During last term, girls from the South London school were part of a group of 35 Girls’ Day School Trust students visiting Wildpoldsried in Bavaria to study for a Level 3 Award in the Rational Use of Renewable Energy. The trip, funded by Erasmus+, was led and delivered by Sasie Ltd and German partners Christiani GmbH, with support from School Energy Efficiency CIC. The aim of the trip was to encourage women into STEM careers and university choices, with a focus on renewable energy and sustainability. Wildpoldsried was the perfect base for the educational experience as the village generates 600 per cent of its annual electricity demand through renewable integrated technologies such as: biogas plants, wind turbines, district heating system, biomass and combined heat and power plants. 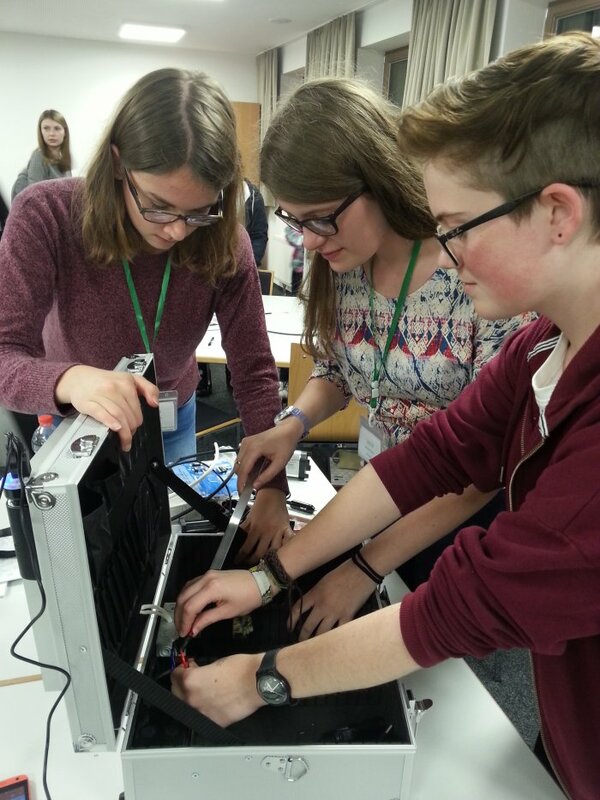 Students began the trip by constructing their very own mini solar PV system inside a case (pictured), under the expert guidance of the solar case manufacturers Christiani GmbH. Daily trips extended to local universities and colleges, a waste combustion plant, hydroelectric power plants, Elektro Guggenmoos GmbH, Sonnenbatterie GmbH and the construction of a brand new 150m wind turbine. Teaching and qualification material was supplemented with inspirational talks and interactive presentations from organisations such as 2041, 5 Gyres and Barefoot College. Students are now engaged within a variety of campaigns related to human impact on the environment, which they will take back to their school communities. “Having always learned from a book, being actually able to come and see these technologies in practice have made me realise that the age of the renewables is now and not just a strategy for the future,” said Year 12 Sydenham High student Greta Holmes. Sydenham High students Beatrice Eades and Niamh O’Sullivan have just swapped student life in the UK for the Australia winter term equivalent as part of a unique new international educational and cultural exchange programme. 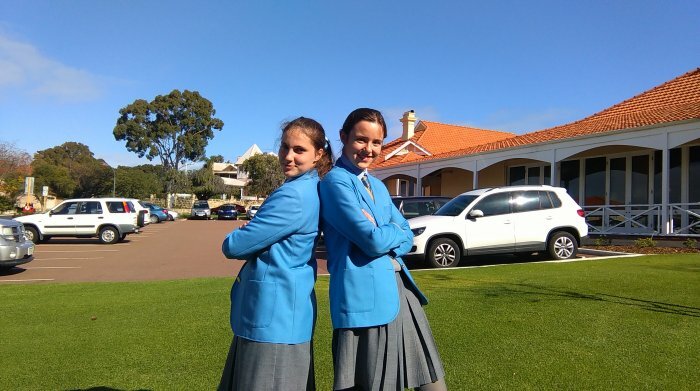 Beatrice and Niamh, both aged 14, joined their Year 10 counterparts at St Hilda’s Anglican School for Girls, Perth, Western Australia for five weeks in July. In the first part of the programme this term, St Hilda’s students Molly Stafford and Ella Boetcher came to the UK and spent four weeks being Sydenham High students. Unlike traditional exchange programmes, the experience has been totally immersive as all four girls were completely integrated into their new school life: wearing school uniform, going to classes, taking part in extra-curricular activities and, in Beatrice and Niamh’s case, becoming boarders. Gender stereotypes still influence perceptions of many jobs and careers, potentially causing girls to curtail their ambition so schools have an important role to play in challenging this situation. That was the message today from Dr Colin Laverick, Acting Headteacher of leading independent girls’ school Sydenham High, in advance of the Annual Conference of the Girls’ Day School Trust (GDST) in London on Wednesday 10 June. “It’s important that we consciously challenge stereotype assumptions,” added Dr Laverick. “Raising awareness of different jobs at an early age enables girls to imagine themselves in a full range of roles, and not limit their horizons too early or too readily.” The school’s career and PSHE programmes robustly address this. In fact the Junior School’s latest co-curricular programme, Flourish and Fly, is designed to ensure girls are equipped to look beyond real or perceived obstacles to reach their full potential and aspire to any career they wish. Each half term has taken on one of the four Girls’ Day School Trust values – Be Bold; Girls First; Be Principled and Networked – as its theme, culminating in a week of activities, challenges and speaker visits to bring that particular value to life. The current Flourish and Fly theme of ‘being networked’ is also at the heart of this year's GDST Annual Conference which is entitled: ‘Circles of Influence – enhancing employability and creating a culture of networking’. Delegates will also hear from speakers including Sacha Romanovitch, CEO-elect of Grant Thornton UK LLP and a panel of GDST heads and students – all of whom will address the issue and its implications for girls, women and wider society. 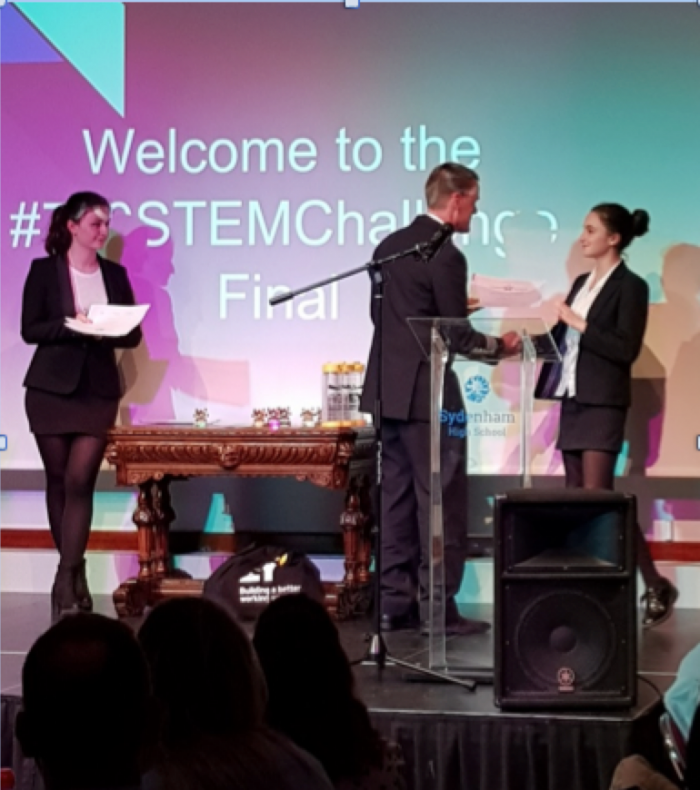 Monday 12thMarch saw 150 guests and five special guest judges gather for a fantastic evening in the Longton Hall at Sydenham High School, all in the name of the #700STEMChallenge. There has been much in the press lately about the gender gap in STEM and lack of girls participating in these subjects, but not at Sydenham High! This entire event was masterminded, and executed, by Year 12 pupil, Annabelle Simmonds, outside of her already demanding timetable for A Level Maths, Further Maths, Physics and Chemistry. As you can see, she has a passion for STEM subjects! The event was a great success, with presentations from the judges1describing their career paths, encouraging girls, as well as boys, to follow their passion for STEM, and the importance of choosing a pathway that is right for you, whether that be university or an apprenticeship. The audience thoroughly enjoyed hearing from our special guests before the winners were announced and the prizes were awarded, including a tour of the Engineering department at a major London airport and a copy of A Brief History of Time signed by the late Professor Stephen Hawking. All the articles will be published in a journal later in the year. 1. The judges were Captain Al Bridger, Chief Pilot Boeing fleet, British Airways, Matthew Gardner, Engineer at British Airways, Rachel Thomas, Writer and editor, specialising in mathematics and science communication, Carrie Bennett, a 22 year old Audit Senior and Chartered Accountant at Ernst & Young, Jade Garner, a 19 year old Business Apprentice, Ernst & Young. Five Sydenham High senior rowers had a royal experience at the ForeShore Festival last weekend (Saturday 23 September). They received the exciting invitation to join Dulwich College's senior rowers in taking the oars of the Queen's beautiful ceremonial barge, The Gloriana, and had the honour to row her on the Thames at the annual river event at Putney. The conditions were perfect - sunny, warm and calm - and the girls rowed in perfect rhythm with their DC counterparts from the bow of the barge. The Gloriana is a 90-foot-long (27 m) British row barge. She was privately commissioned as a tribute to the Queen for her Diamond Jubilee, and was the lead vessel in the Diamond Jubilee Pageant which took place on the Thames in 2012. The girls thoroughly enjoyed the whole experience and it will serve as an inspiration to all 42 school rowers in years 9-13 as they get started with their training this term. The 2017 Performing Arts Awards evening at Sydenham High Senior School, which took place on 26 April, proved even bigger and better than last year’s inaugural event. With 180 people attending to celebrate the successes in the Music, Dance and Drama departments over the past year, it was an exciting evening of performances as well as awards for outstanding achievement in the arts. The evening started with a dynamic performance from the Senior Street Dance Company, choreographed by Kira Bishop from Pineapple Dance Studios, who also attended the dinner. This was shortly followed by the school’s Big Band, who performed highlights from the film Ratatouille, and the Serenata singers who showcased two traditional songs: Pastime With Good Company by Coombes and IIlka Moor (arr Neaum). The audience were then treated to a duologue from two year 10 actors - Sally Prifti and Sophia Michael - entitled Time, which they had recently performed for their LAMDA exam. The performances concluded with the wonderful Les Miserables Choir who treated guests to a barricade-storming medley of songs from the musical, which wowed the audience. Emily then presented the awards which celebrated progress and achievement in Music, Dance and Drama across senior school key stages plus an overall award in each category. Rebecca Kent (year 13) won the Sydenham High School Young Musician of the Year award; Alice Nicholson (year 11) picked up Dancer of the Year and Lili Morgan (year 8) took home the trophy for Actor of the Year. The top award of the evening went to Lauren Lawrence (year 10 - pictured) who received the Kathryn Pullen Performance Award for outstanding all round achievement in Music, Dance and Drama. 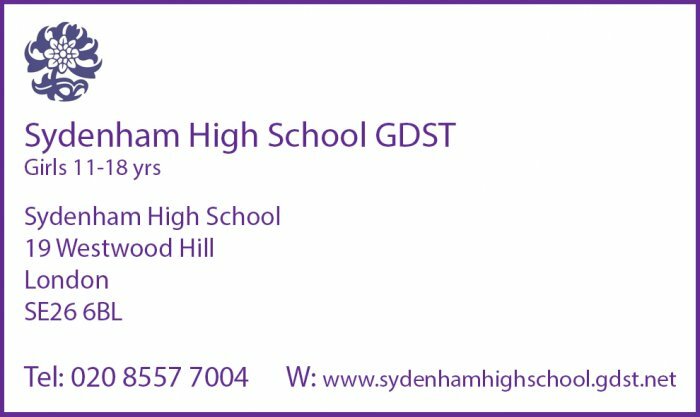 Along with the August temperatures, Sydenham High GDST saw its GCSE results, announced today (Thursday 25 August 2016), continue to rise up the grade scale. Top 2016 grades further increased with almost a third (32 per cent) of Sydenham High students scoring an A*, with 63.2 per cent achieving either A* or A. More than 80 per cent of grades in six subjects were A*/A, including STEM subjects: Biology (91 per cent); Statistics (89 per cent); Chemistry, Physics and Drama (86 per cent) and Latin (83 per cent). Overall 86 per cent of grades were A*-B and 96 per cent were A*-C – both up on 2015 and bucking the trend nationally. Success was a family affair for three students picking up their results. Triplets Kate, Louisa and Sophie Hanton scooped a total of 26 A* between them plus 5 As. One of the triplets – Kate - and three other students – Alex Lindsay, Maddy Telford and Betty Townley – all achieved a clean sweep of 10 or more A*s.
Headteacher Kathryn Pullen said: “I couldn’t be more delighted that our girls have done so well, giving them a wonderful springboard to their A levels. They’ve worked extremely hard with their teachers to reach these heights and I can’t wait to see what successes lie ahead for them. Thursday 5 May: As Londoners went to the polls to vote for a new London Mayor and Assembly, the students, parents, staff and neighbours of Sydenham High School called on the successful candidates to press Lewisham Council to provide a safer road crossing on Westwood Hill. The busy crossing point outside the school, which also leads to Kirkdale’s shops, Wells Park and other local amenities, lost its School Crossing Patrol Officer at Easter and, despite advertising by Lewisham Council, no candidates have come forward. When the previous patrol officer retired in 2014 it took 12 months to recruit a replacement. 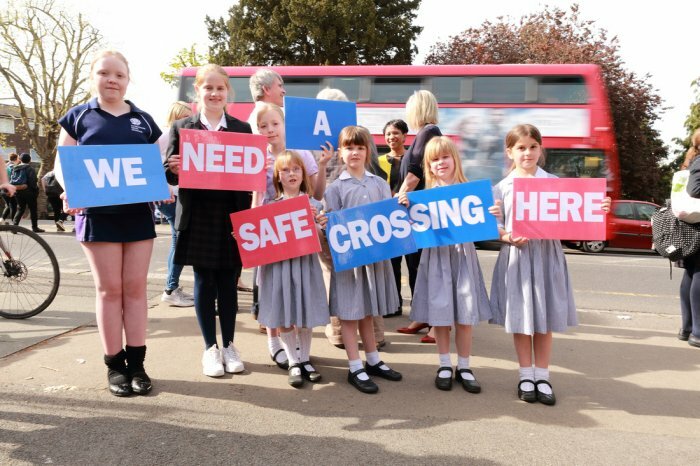 Whilst the Council has promised to continue the latest search, the school and its supporters - including the Sydenham Society and Sydenham Assembly member and school governor Angela Hall – now believe that the time has come to demand a permanent controlled crossing to protect the children and adults who regularly have to cross this very busy road. Lewisham Council has so far rejected the idea of a fixed crossing, citing a lack of accidents and the fact that there is a zebra crossing at Cobbs Corner – some 5-10 minutes further down the hill so not in the least relevant. The school’s own research shows that in addition to many of its 600 pupils, children from both St Bartholomew’s CoE Primary School, Sydenham Girls’ School, and The Peak use the crossing along with staff and local residents heading down Longton Grove to Kirkdale and beyond. Angela Hall, who is a member of the Sydenham Assembly as well as a school governor, echoed this concern. “A Safer Streets speed watch on Westwood Hill between 8am and 9.30am on 15 April logged no less than 103 cars exceeding the speed limit – some at more than 40mph. Sydenham High School has started a petition on Change.org which has already attracted over 500 signatures and many messages of support in just a couple of weeks. This week’s mass gathering on the hill aimed to gather further support and publicity for the petition. or write directly to Councillor Chris Best at Lewisham BC. 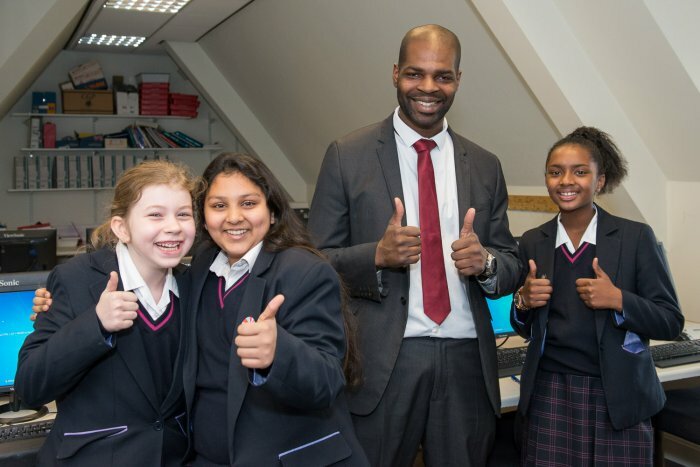 Sydenham High has won a gold 2015 Good Schools Guide Award for girls taking computer studies at GCSE. The school has been presented with the award by The Good Schools Guide for out-performing all other English schools in its category. The prestigious annual awards, which are now in their 9th year, are based on a detailed analysis of the most recent examination results, and are designed to highlight consistently good teaching. Sydenham High has swiftly embraced the Government’s introduction of a new computer science curriculum and has launched the computing curriculum at Key Stage 3. The scheme of work explores areas such as digital literacy, skills and careers. The curriculum is designed to help the girls become creators of tech, instead of just consumers. It will also better equip them for the real world of work and industry – especially as women are currently underrepresented in the tech arena. Headteacher Mrs Kathryn Pullen said: “We are absolutely delighted to be acknowledged for our excellence in teaching computer studies and we are sure it will inspire and encourage all our students who are working toward their GCSE and A levels right now. To hear some of London’s most talented young jazz musicians playing live head down to St James’ Church, Beckenham, on Saturday 27 June at 7.00pm. The all-girl Sydenham High Jazz Collective will be making their first public appearance outside the school at the concert and sharing the stage with the renowned National Youth Jazz Orchestra London. Both groups are directed by the award-winning jazz saxophonist Phil Meadows and will be playing an exciting programme of popular and traditional jazz pieces. The concert takes place at St James’ Church, St James Avenue, Beckenham, BR3 4HF at 7.00pm on Saturday 27 June. Tickets £5 at the door. Children go free. Communicating and celebrating the wonders of science in our world today were at the heart of Sydenham High School’s celebration of British Science Week (16-20 March). Girls from across the whole school went on an exciting five day journey of discovery - from exploring what it takes to make the ultimate cup of coffee to identifying SydBeast (a mystery animal skeleton). The week started with a stimulating assembly to highlight some of the WOW factors in science at the moment, including recent controversy over #thedress and the solar eclipse. Practical lessons included dissections, trying out different coffee-making techniques for that ultimate cuppa and Year of Light demonstrations from lasers to eyes on National Demo Day. King’s College London neuroscientist, Dr Ellie Dommett, led a challenging discussion on the ethical issues surrounding the use of smart drugs in society, while Head of Biology Dr Elly Waites gave a presentation to SydSci club on her research into Cancer and Genetics and gave an insight into related career paths. Up in the school’s dedicated cookery suite, students investigated the science behind top chefs’ culinary tips, such as how to cook the best steak, create great chocolate or poach the perfect egg. Year 9 Science Challenge students put their Lego Midstorms EV3 colour sorting robot through its paces, having spent five weeks building, coding and conducting test runs. The project has allowed students to combine robotics and coding skills into an end product that completes a particular task – sorting small coloured blocks into separate pots. A group of Year 12 students also attended the Engineer Your Future Career Awareness Day to meet representatives from engineering companies and other like-minded students, and gain greater understanding of engineering careers. Sadly it was too cloudy for the girls to view the solar eclipse in the skies above Sydenham and they had to make do with a live TV feed to a giant screen in the school’s Longton Hall. Activities culminated in a huge Science Fair, organised and run by members of Year 8 and attended by girls from Years 4 - 6. Year 8 had to come up with their own idea for each stall to communicate and explain an aspect of science to this young audience. The would-be science teachers definitely rose to the challenge, covering everything from testing forces and the properties of elements to finding out the mass of objects, blending perfumes and identifying what makes a good diet. Sydenham High School’s rowers are travelling 3000 miles without leaving London to support a Cushing's disease survivor's Transatlantic record attempt and raise money for King's College Hospital. Since her 2009 diagnosis of a rare and life-threatening disease, Kiko’s life has been saved not once but twice by the doctors and nurses at King’s. To thank the South London hospital, and challenge herself, Kiko decided to use her love of rowing to raise money for the new unit, which will help save many more lives in the future. 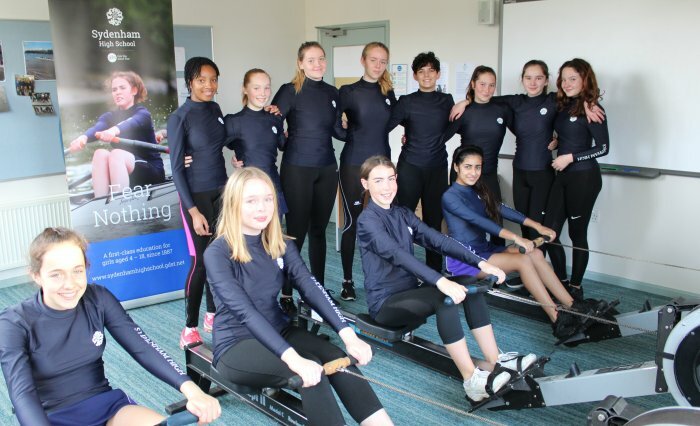 More than 25 rowers, including captain of boats Phoebe and year 12 rowing scholar Darcy, have been taking to the school’s ergo machines, to add to their river training, to clock up the necessary miles and reach their sponsorship target. Kiko herself joined them on the river for a training session and was paired with 16-year old rower Elena. Afterwards Kiko announced on Twitter: "Having a year 11 girl in charge and showing me the ropes was awesome. Totally loved my afternoon." 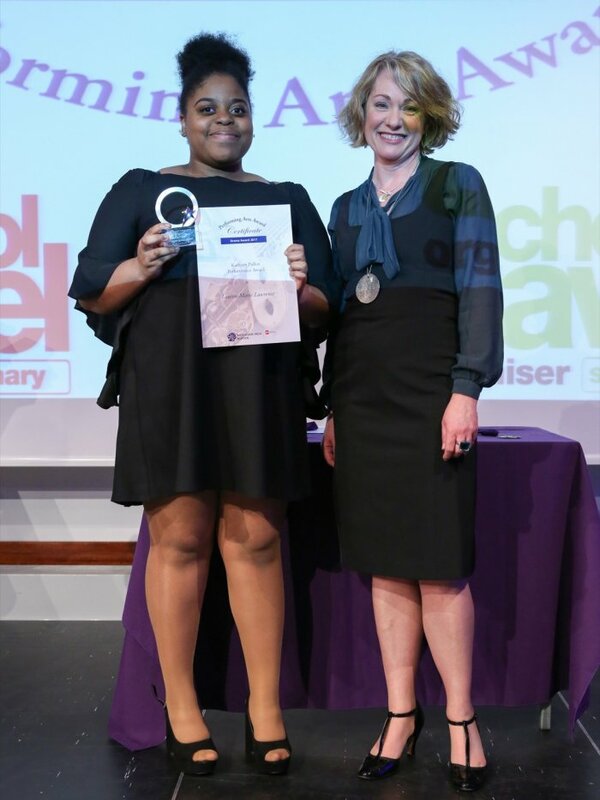 The Sydenham High team was inspired to support Kiko after she was the guest speaker at senior school prize giving in July. They are one of one hundred female supporters and groups being recruited by Kiko through her 100TogetHER fundraising campaign. In fact, when Kiko sets off on her journey she will not exactly be alone; the images of all her 100TogetHER supporters, including the Sydenham High rowers, will cover the inside of her tiny cabin to inspire her to keep going and achieve her goal when times get tough. Only five women have ever crossed the Atlantic solo. Kiko is not only aiming to add her name to this prestigious list; she has also set herself the goal of making her crossing in just 45 days – 11 days faster than the current French female record holder. Sydenham High’s rowers will be right there with her, willing her to succeed. 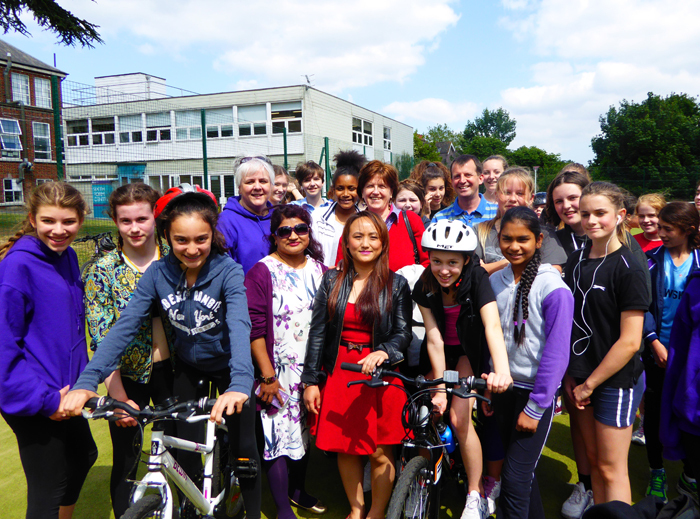 Rowing has been going from strength to strength at Sydenham High and is now one of its most popular sport options. From a half dozen rowers two years ago, the school is now accredited with GB rowing and has over 40 students from year 9 to year 13 actively enjoying the sport each week. A senior crew recently had the privilege of rowing the Queen’s barge Gloriana alongside a crew from Dulwich College. 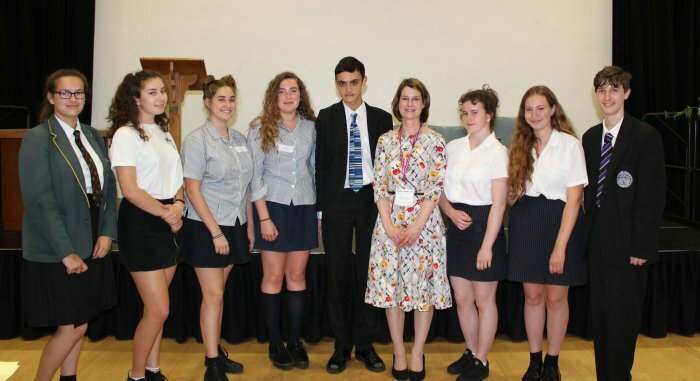 Famous authors and poets joined forces with eminent university lecturers and politicians at Sydenham High School GDST on Thursday 22 June, to celebrate the fundamental value and modern relevance of studying the Humanities at the first Sydenham Symposium. Over 70 senior school pupils from Blackheath High, St Olave’s in Orpington, Bishop Thomas Grant in Streatham, Dulwich College and Elmgreen School West Norwood, as well as from Sydenham High, took part in the day of workshops and talks to celebrate the value of Humanities subjects and to demonstrate what areas of study and careers they can lead to post-GCSE. The Sydenham Symposium: A Humanities Festival was opened by Helen Hayes, MP for Dulwich and West Norwood. Ms Hayes, who is a geographer, told the audience of pupils from year 10 to year 12 that the Humanities provide vital perspective on our increasingly complex world, whether we are looking to examine the motivations of past leaders, the interactions between physical and human geography or the reasons for a particular ethical standpoint. They enable us to move forward by learning from the lessons of the past. A top line-up of guest speakers ran a series of workshops and talks throughout the day. Best-selling historical mystery author Caroline Lawrence explored the hero’s journey in Greek and Roman myth and how this is used in modern film plots such as Star Wars. In contrast, author and director David Stuttard provided a fully immersive workshop exploring the differences between modern and Greek drama including recreating a Greek chorus in Ancient Greek. Poet and fiction writer Lydia Syson, examined the story of the forgotten women of the Paris Commune in the era of Les Miserables and eminent philosophy lecturer Dr John Tillson, from the University of Warwick, got students thinking about whether it is wrong to simulate wrong-doing in modern computer and video games. The day ended with a plenary session delivered by Dr Kathryn Tempest, lecturer in Latin literature and Roman history at the University of Roehampton who provided an intriguing exploration of Roman and Greek social etiquette, including the dinner party, and how this compared with behaviour today. Sixth formers from Sydenham High have served up a top kitchen idea that’s a chop above the rest for their entry in this year’s Young Enterprise scheme. 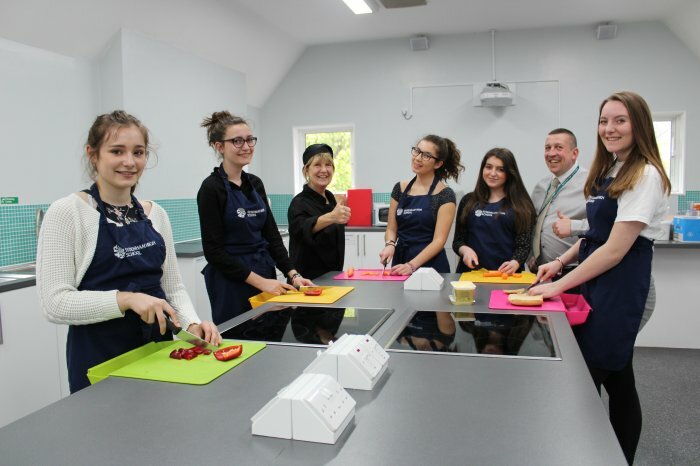 Lola, Jana, Melissa, Ella, Biba and Lauren, all in Year 12, with their team colleagues at Dulwich College, have developed an innovative chopping board that cleverly solves the perennial kitchen problem of separating prepared food from waste. Made from anti-bacterial plastic, the ChopAway board has a detachable bowl to catch food waste for easy disposal. It fits neatly over the edge of any worktop and has non-slip feet to prevent movement. The innovative board has already helped the team become Central London finalists in the Young Enterprise competition. It has also won the approval of Sydenham High’s catering team, who have ordered four of the chopping boards to help them prepare the school’s meals. The team came up with the idea of a chopping board with extra functionality after experiencing food preparation issues in their home kitchens. Having tried various different solutions, they hit on the concept of a detachable section. Prototypes were commissioned and market research conducted with friends and family plus Christmas fairs where the team tested product appeal and price points before a deal was struck with a supplier. The team raised the initial funds to pay for their stock by face painting at events and selling decorated T-shirts and sweets. ChopAway has used social media – Twitter and Instagram - as well as a website to promote their clever product. They have also taken stands at trade fairs, shopping centres and markets such as Spitalfields. 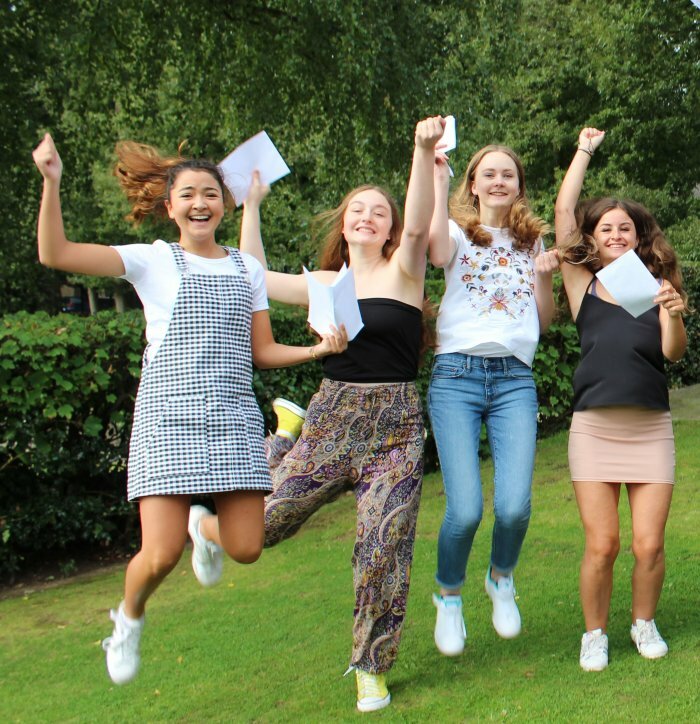 Sydenham High sixth formers are celebrating a record haul of A level A* and A grades, along with a raft of prized university places, following the release of today’s exam results. Almost half of all grades (45.1 per cent) were either A* or A – nearly twice the level achieved in 2015 - helping students to secure places at a range of top universities including Oxford, Manchester, Warwick and Leeds. Topics of study include engineering, maths, pharmacy and chemistry. Along with a one hundred per cent pass rate, over 80 per cent of grades were A*-B and 92.7% were A*-C.
The strongest subject performances were in Physics, Further Maths, French, Business Studies and Design Technology where one hundred per cent of pupils gained an A*/A. Sydenham High’s talented drama students and mathematicians also took centre stage with 86 per cent A*/As in Theatre Studies, while 83.3 per cent of Maths passes were also A*/A. Amongst the highest achieving students were Savandhi Goonasekera and Gabrielle Mallet. Gabrielle gained A*s and As, including A* for her Extended Project Qualification, and will be taking up a place at Queen’s College, Oxford, to read Japanese & Korean. She hopes to pursue a career in international relations in the future and is planning to study Mandarin in her spare time! Savandhi gained A* A* A in Maths, Further Maths and Physics. She is going on to study Maths at university. Also celebrating was Orlane Doumbe, who joined Sydenham High’s Sixth Form after receiving a sought-after joint school and HSBC Global Education Scholarship. She achieved straight As in Maths, Chemistry and French, and is heading to Manchester to read Chemistry. Two Art students have also secured places on prestigious Foundation courses at Central Saint Martins and Camberwell College of Art. 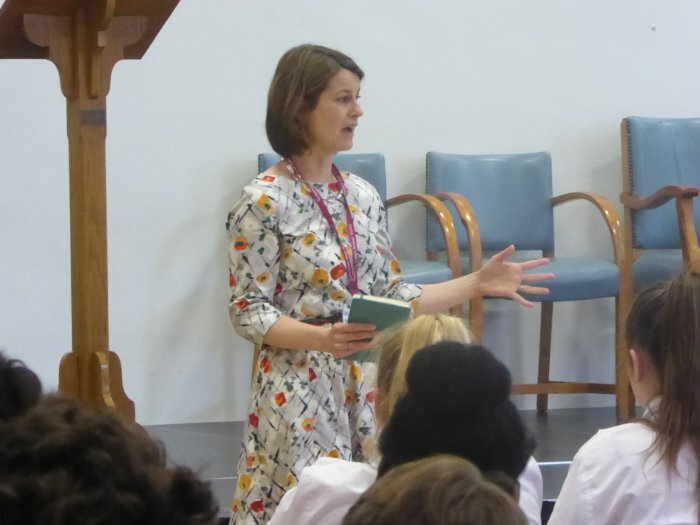 Students at Sydenham High School GDST have been channelling their poetic side with the help of a future astronaut in a workshop around mental health issues and awareness. 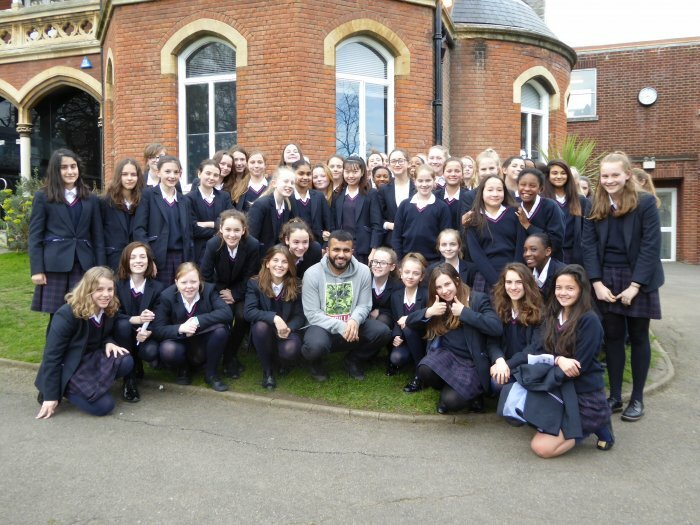 The group of Year 8 students was inspired to write and perform a series of poems around the topics of anxiety and depression by mental health spokesperson, YouTuber and global Kruger Cowne Rising Star winner, Hussain Manawer. Before setting the students their task Hussain, who campaigns to raise awareness of mental health issues, explained how poetry can be a powerful form of self-expression as well as a way of encouraging vital conversation on a traditionally difficult topic. He also talked to them about what makes a good performance to help drive a message home. The 24-year old, who was an Olympic torchbearer and has raised thousands of pounds for charity, then performed some of his unique and compelling narrative poetry. This included the breath-taking spoken word performance that secured him the Kruger Cowne Rising Star award at the One Young World Conference in Bangkok last November. Hussain beat thousands of other young hopefuls from over 90 countries to the chance to go into space with the XCOR Space Expedition as the first British Muslim astronaut. The inspirational performer regularly takes time out of his business schedule to go into schools like Sydenham High to talk to young people about combating cyber bullying and the importance of self-expression through the arts, in an effort to reduce the stigma of talking about mental health issues and provide positive pathways to improve it. Hussain was very impressed by the depth of insight in the thoughtful pieces created by the students, as well as their use of alliteration, wordplay and rhyme in each performance. The Sydenham High students also wanted to know more about his future trip into space – a dream he never imagined could become real. He promised to come back and tell them more about the trip once he has undergone his training in the US. 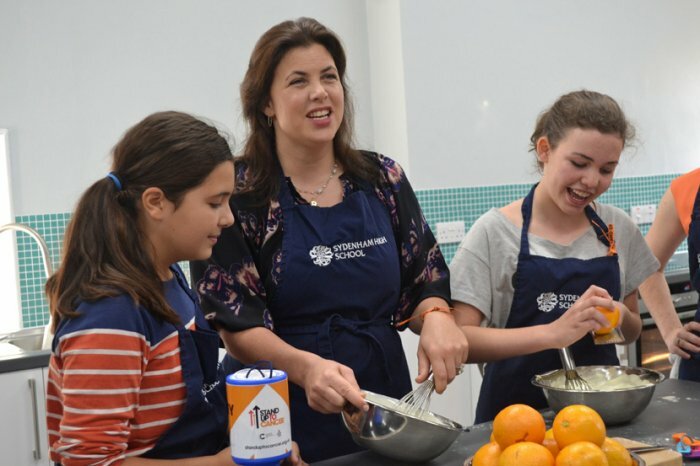 Sydenham High’s Year 11 science class gained an extra eager member on Friday morning when Stand Up To Cancer ambassador Kirstie Allsopp joined them for a lesson about the disease. The Channel 4 Location, Location, Location presenter was at the school to help pupils and staff join forces to Stand Up To Cancer and raise crucial cash for life-saving research. Everyone dressed in orange for the day and took part in a range of fundraising activities including: a sponsored ‘Stand Up’ in lessons, a mass Zumbathon and a bake sale, all in aid of Stand Up To Cancer. More than 600 pupils and 150 staff at the school took part in the fundraising with the aim of raising £1,000 for the cause. To date, their activities have raised an amazing £2,779 – almost triple the target - with more activity planned in the coming week in the form of a series of ‘stand up’ performances. Kirstie attended the school’s morning Assembly where, alongside Director of Stand Up To Cancer Claire Rowney, she told the whole school how important their contribution was in helping ensure that the next generation’s lives are not blighted by cancer. Kirstie then joined a science class examining the origins of cancer and encouraged the girls to think about choosing a career in scientific research to help find cancer cures. After joining the girls in a quiz on the risk factors that can contribute to cancer, Kirstie visited the school’s cookery suite to help Bake Club members complete orange-themed cakes and pastries for a lunchtime bake sale. Her final appointment was an interview with two of the school’s young reporters – Louisa Hanton and Isabel Helszajn-Jewett. Kirstie explained how her own family experience of cancer (her mother was diagnosed with breast cancer when Kirstie was in her teens and her sister, given their family history of cancer, has had a preventative mastectomy) is at the heart of her passionate desire to raise awareness and funds. The more money raised, she told the girls, the more scientists can be employed in research and the sooner kinder treatments and cures can be found. Lunchtime brought a cake sale with lots of tasty orange creations and then a mass Zumbathon, held outside in the sunshine on the school’s Astroturf. The full day’s activities were also filmed as part of a 12-hour Stand Up To Cancer event, being streamed live on YouTube on Saturday 17 October. A joint fundraising campaign from Cancer Research UK and Channel 4, Stand Up To Cancer aims to raise money to fund vital research that will get new and better treatments to cancer patients faster. 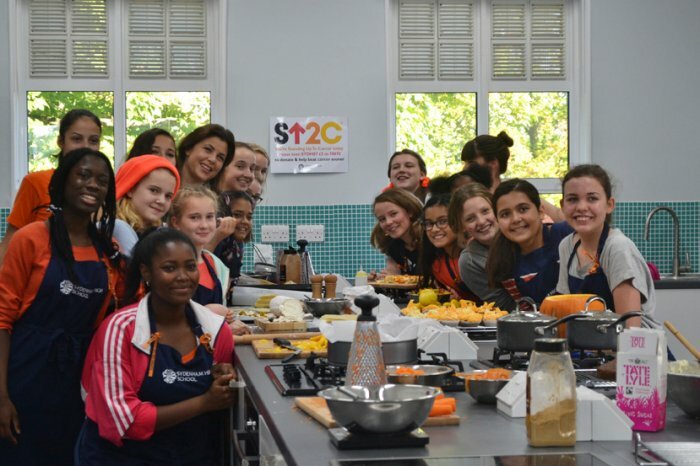 By joining Stand Up To Cancer, pupils and teachers at Sydenham High united with doctors, nurses, scientists and celebrities to generate funds, raise awareness and bring forward the day when all cancers are cured. One in two people in the UK will develop cancer at some point in their lives. Stand Up To Cancer aims to raise money to accelerate ground-breaking research to help more people survive and ensure more families stay together. Headteacher Kathryn Pullen said: “We’re so proud that our pupils will be joining an army of fundraisers across the UK in helping to raise funds for Stand Up To Cancer. We have a proud tradition of charitable action. The whole school will be taking part in the fundraising activities so it will be a real team effort and we hope to raise as much money as possible for such an important cause. To help the school prepare, teachers used a schools’ resource kit, specially created by the charity, which includes lesson plans, an assembly pack and fundraising materials. and go to the Stand Up To Cancer campaign page. Alternatively, text: SYDH87 £3 to 70070. Students and staff at Sydenham High School GDST yesterday (10 June) travelled 7,192km – the approximate distance from London to Kathmandu - in a challenging 12-hour sponsored event to raise awareness of and aid for the victims of the recent devastating Nepal earthquakes. Over 450 girls from Reception to Year 10 cycled, jogged, ran and walked to Nepal on the school’s Astroturf, as well as rowed in the fitness suite, in shifts from 7am throughout the school day. They were joined from 4pm by family, friends and combined staff-student relay teams to help reach the target with an hour to go. Some older girls also came back from study leave to take part. Several teachers challenged themselves to trek for the full 12 hours, including Deputy Head Karl Guest who, together with Acting Head of PE Georgina Calvert, masterminded the fundraising event. The aim of the trek was to not only raise awareness of the difficulties faced by the people of Nepal but to provide actual aid. In addition to all participants making a £2 donation to wear sports kit for the day (maximising ‘travel’ time) girls also gained sponsorship in the form of items from a specific aid package list. The list includes: emergency torches, dried food, cooking pans, bedding, children’s clothing and water purification tablets. The intrepid trekkers were joined in the afternoon by Geraldine Finney, the Regional Director (London) of Excelcare (pictured, centre of second row in red), which has a large number of Nepalese employees working in its seven London care homes, two of which - Castlebar and Peartree - are near the school. Also taking the trek were Bromley-based Excelcare nurses Bhim Shakya (pictured front row centre left) and Anita Gurung (pictured front row centre right in red), whose father is a Gurhka. They are co-ordinating major aid deliveries to particular areas of the stricken region which are home to the families of staff working in the care homes including Bhim and Anita. The aid items collected at Sydenham High will join one of these consignments. The school has also opened a JustGiving account in support of the Earthquake Appeal –https://www.justgiving.com/sydenhamhighschool - which has already raised over £1,700. Further donations can be made there which will go directly to the Disasters Emergency Committee campaign.